This message was preached by Colin D' Cruz at Word of Grace Church Pune, on the 8th of December 2013. On an average a Christian listens to 100 hours of sermons in a year. So is lack of knowledge a problem ? Almost 50 weeks have passed this year. WE have heard at least 50 sermons. The average Christian has listened to at least 100 hours of sermons this year when you count the Conferences, seminars, God TV messages they listen to. That is a lot!! It’s a huge treasure chest but this morning I am going to give you a key to unlock this treasure chest that will make it beneficial to you. Thirty years ago we were starved of Bible knowledge; Christian books were not easily available especially in our country. Today there is no lack of knowledge. But we do lack in one thing – obedience. Jesus preached the Sermon on the Mount found in Matthew chapters 5 to 7. Toward the end he talks about two men building different kinds of houses. WE are like that. We have so many messages in our minds but what have we done with it? Matt 7:24-27 We admire all beautiful buildings. Has anyone seen the foundations of the Taj Mahal or does anyone ask to see it? Nobody ever looks at the foundations of a building. We only look at the super structure and we admire it for it beauty. But Jesus at the end of the Sermon on the Mount talks about 2 men. All of us are building something. We fall into either of these two categories, one wise and the other foolish. The foolish build on sand. Building on sand is very easy. It does not take time. The other man built on rock. He dug deep till he hit bed rock and then he started to build. It was hard work and took time. One takes long and the other a short amount of time. The amazing thing is that both super structures can look the same and be as beautiful to the eye. Note that storms cam to both the structures but the results were different – one stood while the other crashed. How do we build? We hear 100 hours of messages and that is one part. The important part is then doing what it says. Sandman only heard. Rocky heard and did. We all look the same everyday but when the tests come will we be found standing or wanting? Hearing only is like building on sand. Hearing and doing is like building on bedrock. Jesus warns us about this often. None of us like to be deceived. James 1:22 “ Not everyone who says Lord , Lord will talk’s bout being hearers and not doers and thus being deceived. We should put into practice what we hear. Matt7:25 Some people say a lot of things. They have the gift of the gab but they don’t do it. All those 100 messages are useless if we have not put something into practice. Let’s think about what we can put into practice before this year is over. So lets go and just do it. to listen/download to the mp3 audio please click here. God is mobilizing the world in a way we do not understand. As we take risks the sovereignty of God comes into play. God wants to build a church with risk takers- because we don’t know what God will do. How do we build a multi-generational church that will thrive from one generation to the next? Many movements have come, churches planted, revivals have come- but some of them do not exist anymore or from movements they have become monuments. Some grand churches in the U.K have been converted to pubs today. Maybe at one time it was a thriving church. What went wrong? My guess is sometimes,, we start well, become successful or you build around yourself or a heresy creeps in. sometimes, its so outward looking but later they start looking inward. Through history- a church can be birthed in persecution. When persecution stops, the gospel advance stops. What has gone wrong? Newfrontiers has multiplied to many spheres. Why should we do it? 1. It is Biblical- Moses- Joshua, Elijah- Elisha, Abraham- Isaac- Jacob. 2 Timothy 2:2 says, “And the things you have heard me say in the presence of many witnesses entrust to reliable people who will also be qualified to teach others." 2. It requires energy- you will not have the same energy 30 years from now. The generation will give you their experience. 4. For gospel advance- we need to gain momentum. The danger for the younger generation is not to learn from the older ones and the older ones not making room for the younger ones. Saul started badly, David thrived. Solomon started well and then failed. By the fourth generation the kingdom split. 1. Saul did not raise leaders. It was restrictive and religious. He wanted to kill Jonathan for eating honey and crushed his spirit. Build a Christ centered leadership. Saul built a monument for himself. 2. David- saw what the Kingdom of God should look like. He trained men- committed. David was a worshiper- a man after God’s own heart- had a heart for the poor. He remembered Mephiboseth. He was building to God and not to himself. 3. Solomon- you now have a nice building. Truth is passed down. before long, Solomon compromised truth and the result he brought the cultures of the world to infiltrate the church. Solomon was wise buyt something went wrong somewhere and the kingdom declines. What can we learn and what challenges will we face? This is for us together and local church. 1. Build to God- God raises leaders in the church in his own way. He took Gideon. God equips trains and releases. Christ centered leadership multiplies itself. We need to multiply gifts. The only way we can do that is to hold things lightly and build to God. Its radical but sensible- it takes risks but is also discerning. The church belongs to Jesus and wants to see it go from one generation to the next. 2. It needs leadership overlap- allow a time of overlap- older generation running with the next side by side for a while. Jesus’ ministry was a ministry of overlap. He trained the 12, the 72. Older generation build and instruct at the same time. Go together. Younger generation- build and observe- learn. 3. You train- we need to build a culture where you train. You don’t stop training. Saul liked victories but did not like victors. Saul did not like David. David built differently. We need to train knowing that one day God will use them in the regions beyond. Older generation- train someone. Take someone with you. In our churches we have to think differently. We need to train to unleash the lion. We train to release. Men and women, lets invest in training. Pray leaders in- we need robust prayers. 4. Keep it missional- the only time that Saul and David fought together was when David gate crashed with food and then fought Goliath. We need to train for mission. If your church has the DNA for mission it will see itself as a multi generational church. Tom Wright said, “Church is the body of Christ for God’s mission in the world.” When you release responsibility, it keeps it multi- generational. 1. Older Generations- the spirit of perfectionism. We need risk takers. In Judges- Deborah- in those days, it was risky. God wants to use the ladies. Gideon who was a coward was called a mighty man. God is not looking for perfection. Jeptha- mother was a prostitute. Samson, David, all had faults. 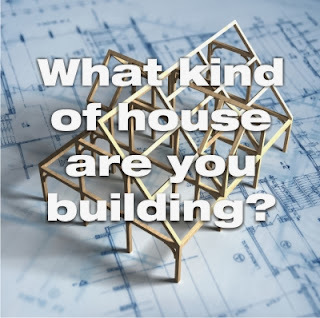 When we build lets discern what God has put in people. None of us were perfect when we started. Perfectionism can be like legalism. Don’t find faults. Don’t be too structured. It needs to be relational. We need leaders who understand the gospel but we raise sons and daughters. Paul talks to Timothy- my beloved son. Learn relation ally. a. Be mission oriented- not consumer oriented. The gospel of consumerism- “Jesus will meet all my needs gospel.” How will you grow if you skip from one church to the next? We are here to build and go to the nations. Today, it’s all about ‘me’ not ‘you’- ‘Jesus who died for me’. We need to build from an understanding of what has gone before us. Come to be trained, discipled and built into the purposes of God. b. Contextualize but do not compromise- understand the culture but do not compromise the truth. If we do not build to God we will land ourselves in trouble. Learn from those who have built and labored hard. Wouldn’t it be sad if we go back to what the older generation fought to get away from? c. Don’t be quitters- this generation has this problem. They want to arrive. They want the platform. When we don’t get it we quit. Titus (Galatians 2) called by God- Titus started by carrying bags, then a postman. There is a process in growing as a leader. If you quit you won’t see God’s purpose in your life. We need to allow that process. Then he sends him to the Crete. It was a process. If we allow this, we will see something of God echo from the older generation to the next and to regions beyond. God is calling us to grow from now to the centuries in the future. If we don’t we will be a monument and not a movement. Let’s go and build a multi-generational church. We have to build differently and think differently because this has to go to the next, the next and the next generations. We can do this! Luke 5:1- 3 One day as Jesus was standing by the Lake of Gennesaret, the people were crowding around him and listening to the word of God. 2 He saw at the water’s edge two boats, left there by the fishermen, who were washing their nets.3 He got into one of the boats, the one belonging to Simon, and asked him to put out a little from shore. Then he sat down and taught the people from the boat." This was a defining moment for Peter. We can’t afford to miss them sometimes, on which so much rests. All else that Peter did is because he responded in the right way here. Martin Luther’s action of questioning the indulgences set off the Reformation. In 1735 George Whitfield was asked to speak to someone in prison. He speaks from John 3 and the 2 prisoners are saved- crying out ‘I’m saved’. Whitfield is bewildered- goes home and ponders on the thief on the cross who realizes that the thief could not do anything. This moment started a great awakening. In 1861- Wesleyan society conference- William Booth’s method was not accepted by everyone. He hated Calvinism. He was firing evangelists. Some thought he should be reined in. wife shouted, “never William, never”. That started the Salvation Army. It was a defining moment. In 1898- Methodist minister (America) gathered 40 students every year. Got them to study Acts 1-5- realized that the Baptism of the Spirit was indispensable. Agnus Osmond- asked for baptism in the Holy Spirit and spoke in Chinese for 3 days. They all spoke in known languages and then went on to those countries as missionaries. The start of the Pentecostal charismatic movement! Billy Graham- the night before his first crusade had an encounter with God. What do they all have in common? They did not have a clue that it would be so big. Today we look at it with hind sight at their success. They did not know it would be this way. Luke is the only one who records the defining moment for Peter. Jesus was not unknown to Peter. Peter may have even witnessed healing. He is having a bad night. He is happy to loan his boat to Jesus. He did not know what was coming. Peter was a middle class business man. Fishing was his skill and knew when to fish and knew he could have had a bad night. You still need to clean the nets even though empty. Jesus is a preacher/healer but knows nothing about fishing in the natural. He tells Simon to ‘go fishing’. Why did he do it? It just seemed like the right thing to do. That’s true for us. 1. Obedience- they learnt it in the natural and in the spirit. Peter was impetuous, reckless, failed publicly. But Jesus had him in hand. Discerning the will of God is tough sometimes. The timing of God is important to know. These are defining moments- when we will have to conclude whether there is God or not. G Booth- Booth’s son’s very different from his father. He has a strange experience – a woman climbs into his room and tells them her story which was tragic (child prostitution). William Booth did not want to get involved. Gram well felt this was the leading of God. Those days, age of consent was 12. He fought to raise the age and the result was the age was raised to 16. John and Betty Stan in 1930 moved to China and were martyred. 700 men and women volunteered for mission work at their funeral. It’s important to know what’s gone before. Obedience is tough. 2. Partnership- we see it here. They call the other boats for help. We talk so much about team. This is vital to everything we do. Newfrontiers was built on relationships and we need to keep it that way. Not one fish was lost because he asks for help. The next three years they are jockeying for position- strange. He did not say he did not want them to be great- but not in worldly terms but in serving. Even at the last supper, they are arguing about who will be the greatest. We are not in competition. History is not on our side when it comes to this. Reformation in Europe- it could have achieved so much more. Luther and Zwingly divided over breaking of bread. This opened the door to Counter Reformation. Whitfield-Wesley- the followers alongside the Great Awakening did not achieve what it could have. We can do more together than apart- we can make history of working together not jockeying for position. Wesley did not do a good job at the end of his life. They were great men of God but we learn from their mistakes. We are here for one another’s success. 3. For Peter this defining moment was about too much. He was undone. He could cope with miracles but Jesus recruiting was almost too much for him. His response was “go away, I am a sinful man”. I don’t think it was sin. He just didn't feel worthy. It was the realization that he was encountering the awesome and big recruited by the most magnificent being ever. He was then to have full revelation. When Isaiah went into the temple and encountered God, he was undone. This is an attitude for a lifetime and not for a moment. It was like that for Abraham, Moses, Joshua… it was something they lived with. This Conference is a defining moment. We will model something- about partnership around the world. This message was preached at theHUB conference 2013 in Dubai which is the annual Regions Beyond ( led by Steve Oliver) family of churches gathering . This message was preached by Stephen Van Rhyn. This is not a pretty start for Jonah. If the call was to go to “Jerusalem and preach against Nineveh” it would be great. But he got a call to go to Nineveh and proclaim judgment against that city. Option 2- The people respond and cry out to God for mercy. Jonah did not like either option, so he did option 3- ran away in the opposite direction. He gets into a storm that is life threatening. Everyone is calling to God except Jonah. Verse 16- you could think that v.16 is the end of the story. Those who resist the call of God will experience serious consequences. Be wise and listen to God. V.17- this is one of the most amazing verse in the Bible. The Lord provided a great fish. Jonah was angry with God and mad with God and yet God provides a rescue fish showing mercy. If you look carefully you will see yourself in chapter 1. You were saved and rescued by the mercy of God. God did something more radical- he sent his son not a fish to swallow you but to save and rescue you. God had mercy and grace. From the belly of the whale he gets revelation- on the problem and solution. Jonah’s problem- He was an idol worshiper i.e. not man-made idols but of that which he had constructed in his mind- his way of thinking that stopped him from following God. His identity of being a man of God stopped him from following God. He did not want to go to another people group- that they follow God and become like him. He wanted to be unique. He realized he was saved by grace and grace alone and God could save others too. Ch 2: 10- the fish vomited him on the beach. The word comes a second time. This is the brilliant thing- he is the God of second chances. He does not write him off. God comes to us multiple times because he is faithful and he re-commissions him. Chapter 3- Nineveh was an important city. Jonah goes and preaches to them and the people respond including the King. Verse 10-when God saw what they did he had compassion and did not bring the destruction he had said. The book could end here but it does not. There is a chapter 4. The Bible is brutally honest. This book is a sobering book. You can be miraculously saved but partially obey God and not reach our potential and call to reach the nations. Jonah did not give the full message. Was Nineveh under the judgment of God?- Yes. But that was not the only message in the light of his own experience. He should have shared his own experience and his encounter with the mercy of God and his incredible strength. Jonah’s idols revive- the thing that stopped him from fulfilling God’s call on his life comes up again- he was a racist. You can be saved and miraculously rescued and still be a functional racist. He did not want them to receive mercy. He believed he was uniquely chosen by God because of his ethnicity. If you deserve grace- it’s not grace. Grace is for the undeserving- unmerited. Racial pride and cultural narrowness are mutually exclusive. But this natural tendency is arrested by the gospel. God comes to Jonah the third time. In Ch 4:4- “have you any right to be angry”. Jonah does not answer God. Jonah thinks God will destroy the city. God provides a vine in the hot sun. Verse 7-8: Jonah has another tantrum. What’s going on here? For a Jewish prophet to hear what God said broke every concept in his Jewish mind. Nineveh was God’s city that he tended and cared for. Every city that we live in has grown because God is tending it. There is a huge prophetic trumpet call going out. Shall I not care about the other people groups in the nations? God is deeply concerned that He sent his son to die for every people group. Jesus told his disciples to preach it to the ends of the earth- to every nation, language and race. Do not let your identity stop the call of God on your life to the nations. We must feel the heart beat for the nations. Q. What are the bondages? What is stopping you from being used by God? Clear out the muck. Let’s deal with that- get it out of the way. ‘Here I am, send me’. There are new churches coming in Regions Beyond. Get into serving the nations not just wanting a little piece of Steve for your church. How do we do this? We look to one who is greater than Jonah. He did not turn away from the call of God. he was not miraculously saved but died a gruesome death. He was not racially narrow but shed his blood for the nations. This message was preached at the HUB conference 2013 in Dubai which is the annual Regions Beyond ( led by Steve Oliver) family of churches gathering . This message was preached by Steve Oliver. 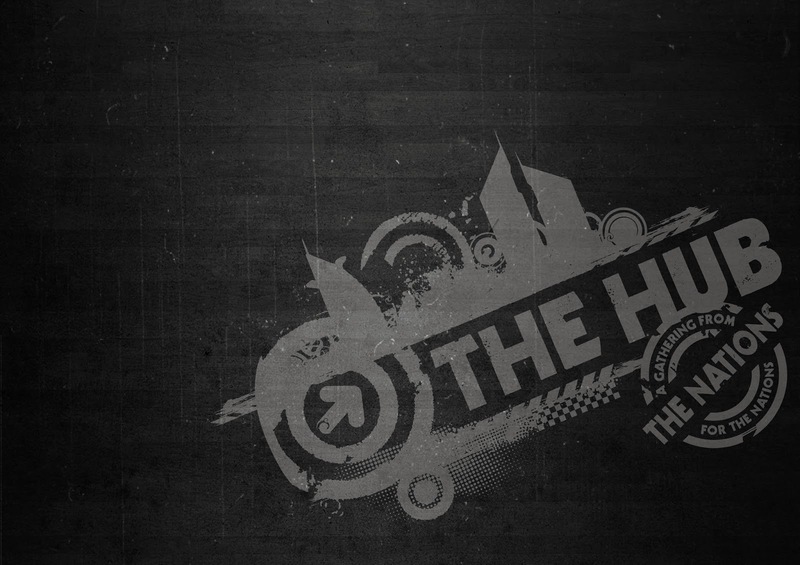 Welcome to the HUB. This is preparation time not only for the months ahead but for the years ahead. In the last two years God has been preparing Regions Beyond and our sphere of influence has been spreading. This has begun to happen as the family is forming. For what’s been formed it’s time to give birth to. One and a half year we have gathered people looking into RB. We are living in significant times and don’t want to miss the moment. God has trusted us with so much. We have a great responsibility. We have fought hard for right theological understanding and values. Let’s not lag behind. It is also time for great humility and sensitivity which are crucial for our success. It’s time to win some of our battles. We need to take our own ground as some others have taken. David because of bad choices found himself in a difficult place and it almost derailed him. It’s working through difficult situations that he finds his strength with God and finds his way back to God and finds great breakthrough. There are lessons for us to learn as well. We are setting the course and the ramifications are significant. In 1992 I heard about the nations an stepped forward. The rest is history. There will be battles in the establishing and the building of the apostolic sphere. There will be hardships and the enemy will not give ground willingly. We will need to be bold and courageous. We see that God comes to the rescue. David finally returned to his family and they see smoke rising. – no family, only destruction. We see Jesus praying for us in Jn 17 and in the Lord’s Prayer – “deliver us from evil”. Dave Devenish. “It’s a biblical pattern- entrance into new areas will often be costly” Mysterious sickness, depression, converts turning on their faith, opposition, extended family pressure, visa issues etc. We need to engage in frequent and continuous prayer because we are coming face to face with opposition. We need to be prepared for this We are all being released into the purposes of God. David required robust leadership. The blame games started and he is under pressure. We all need to step up in robust leadership. In this David seeks God and then he has to go back to them and talk to them. Imagine how he did this. Leadership can be taught. There is an impartation for this. Moving from a local church to a vision for the nations takes robust leadership. 3. David turns to the source of his success. He finds his strength in God. M. Eaton calls this “A moment of spiritual restoration “He hears the voice of God again. The greatest thing is we can do as a church together is to hear God together. Let us never drift away from this. David never blamed his people. We need to find fresh faith- that we value every one God gives us. 1 Cor. 12:22 The eye cannot say to the hand…. David understood this. God loves to show his glory through the unschooled and those who “ are not”. This is what we are about and what counts : We can do all things through Christ who strengthens us. David did not turn on his people. Let this mark our lives. You need God stories – to break in. We cannot take on all that God has called us to if we are only going to be pragmatic and organizational. We need to allow god to break through. We need to be a people of the Spirit and hear God. 6. For David faith is not in the size of his army but in His God. Circumstances allow David to develop values. Some will go ahead, some will stay behind. But whatever we do, we do together. We will know times like this when values will develop in us. It developed/shape a value in David which became a lasting ordinance. Ch30:24-25 The share of the man who stayed with the supplies is to be the same as that of him who went down to the battle. All will share alike.”25 David made this a statute and ordinance for Israel from that day to this. 7. David modeled a generous “I am here for your success” leadership style. This could have been his moment but what was not on his mind. It was God’s people and not his own success. If we don’t do things God’s way we who will hear what we have to say? David takes the plunder from town to town. Stephen Van Rhyn reminded us at the last TOAM that the new phase has to be about generosity. It is easy for us to hoard our success. Let’s always be a generous people and be mindful of what’s happening the world over. Let’s battle for the first fruits together. This message was preached by Colin D' Cruz at Word of Grace Church Pune, on the 24 th Of November 2013. How do we face the challenges of life? Read and listen to this message. Sometimes situations may seem hopeless and dark. Cancer, big debts, stress at work, health issues. We face all kinds of situations and reasons not to get out of bed. We all have problems. How do we deal with it? God has been speaking to us right through the morning in the meeting. We can deal with our problems by knowing who we are and stand in all that God has for us. The year is almost ending. We need to see who we are in relation to our God. Mephiboseth- Jonathan’s son, son of Saul- Tragedy struck him at age 5. His father and grandfather died in battle. His nurse grabbed him to run and hide and in running she dropped him and he was crippled as a result of that. Mephiboseth is a picture of how we were at one time. David is not king and Saul was trying to kill him for many years. He was David’s enemy. In the same way we were enemies with God. 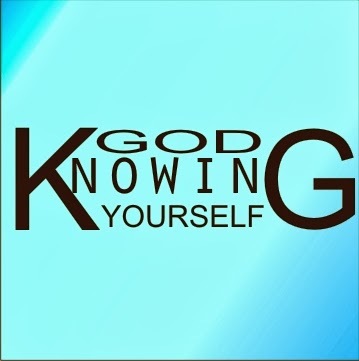 But David- a type/ picture of Christ asks about the House of Saul to whom he wants to show kindness for Jonathan’s sake. This is how God is with us. David and Jonathan made a covenant (1 Sam 20: 14) with each other. There was a friendship and agreement of kindness. Jonathan knew David would be king one day. Now David remembers that covenant. Ziba, a servant of Saul was summoned and was asked about Saul’s family. Ziba mentions Mephiboseth. In verse 5 David asked for him. He is living in ‘Lo debar’ i.e. a God forsaken place, back of beyond. We were like that- in a hopeless state. Now he is summoned and he must have been afraid because he knew Saul has tried to kill David many times. (This is like Adam in the garden). He bows down and pays David honor. Mephiboseth calls himself a servant. He was the grandson of the first King of Israel! Q. What does David do? The first thing he says “don’t be afraid”. He had reason to be and in the same way we have reason to be with GOD . David keeps his word. It was nothing Mephiboseth had done or could do. The same way we come before God and God shows us kindness because of Jesus. We can’t do anything to get it. We are lost. David gives Mephiboseth all his father’s inheritance. What grace and what a change in his fortune! Not only that, he was told to eat at the King’s table every day. What must have Mephiboseth’s response been? He bowed down .We need to realize that there is nothing good in us that we should be chosen by God. Mephiboseth gets all his inheritance and in a day his destiny is changed forever. He is treated as a son not a servant. Wow! 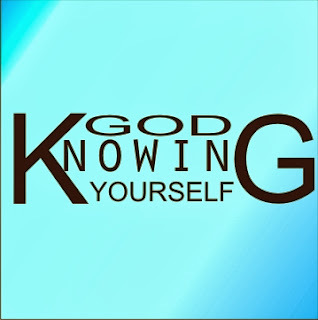 That is what God has called you and me to. In our problems, we have to see ourselves differently. What will give us the strength to face trials? Its knowing this truth. Titus 3:4- “…but because of His mercy.” Not because of anything good in us. Are you aware of God’s loving kindness toward you? As we were reminded this morning to come to Him and He will give you rest. God wants to do the same for us as David did for Mephiboseth. Man wants to earn everything. No, God gives, we receive by faith. Go to Jesus and entrust your situations in His hand. That is our hope and will take us through. Romans 8- God has given us Jesus. So why not everything else? This is the grace of God- undeserved! This message was preached by Wellington Gomes ( of River of Life Church Panjim )at Word of Grace Church Pune, on the 17th Of November 2013. How do we live the christian life led by the Holy Spirit? 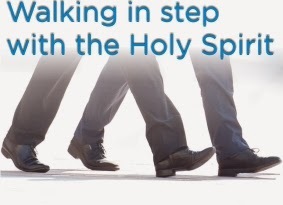 Walking in step with the Holy Spirit. Many people ask how does one hear God ? Often we are the cross roads and wonder how to hear the voice of God. God has an exciting future for each one of us. We don’t have to go through life aimlessly. In the Old Testament God poured out his Spirit on a particular people for a particular task and time. Joel 28 I will pour out my Spirit on all flesh- Pentecost was the fulfillment of this. After that it was unusual – the hiding cowardly disciples become bold and courageous. The unschooled teach the wise. It worked because the power of God was upon them. We want to see the same power upon every Christian. M Eaton “It was an expression of God’s spirit that immediately led to God’s power and boldness… joy and great generosity” The Spirit transformed their lives. May it be so that we will make an impact on the city? Let’s believe God for it. The Spirit of god comes to empower, lead and unify us. What is it like to be led by the Holy Spirit ? Rom8:14 For those who are led by the Spirit of God are the children of God. 1 )We will be directed by God in everything we do. We will be spirit led. If we don’t we can miss out of God given opportunities. Act 16:6-10 he Spirit kept them preaching the gospel. V7 Paul hears God saying in a vision to go to Macedonia. He went there and he got beaten up and thrown into jail. So was it God? God’s leading does not always lead to you physical comfort and a fat salary. So the answer is “Yes”. Sometimes the ways of God are not “logical” our minds. God uses ordinary folk. Acts 29:30 Philip in Samaria – people saved and healed .Philip was successful there and then the Spirit of god asked him to go to Gaza. Acts 13:2.choosing the leaders. The Holy Spirit set apart Paul and Barnabas. 2) To stand against every demonic harassment. Paul ( Acts 13:6) met people like this. Empowered by the Holy Spirit you will have courage to do what God wants us to do. 3) Trust God no matter what . Acts 16:25 they were beaten and put in jail. But they praised God. They walked in the Holy Spirit and they saw a release. In difficult times find out what God wants of you. 4) Gal 5:16 Walk in the Spirit and you will not gratify the desires of the sinful nature. Even when we are counseling people we need the Holy Spirit to illuminate us and give us wisdom. How do we develop this? Keep asking for more of the Holy Spirit’s guidance. Focus on knowing and hearing the voice of God. Fellowship with the Holy Spirit, and give quality time to this relationship.